Here at Little Linguists our curriculm is geared towards preparing students so that they are ready to enter into the classroom. School readieness is no longer only concerned about children who can recite their ABC's, count, identify colors, and write their first name. School readiness incompases the childs ability to to be physically, emotionally, socially, culturally, and cognitively learning and development. 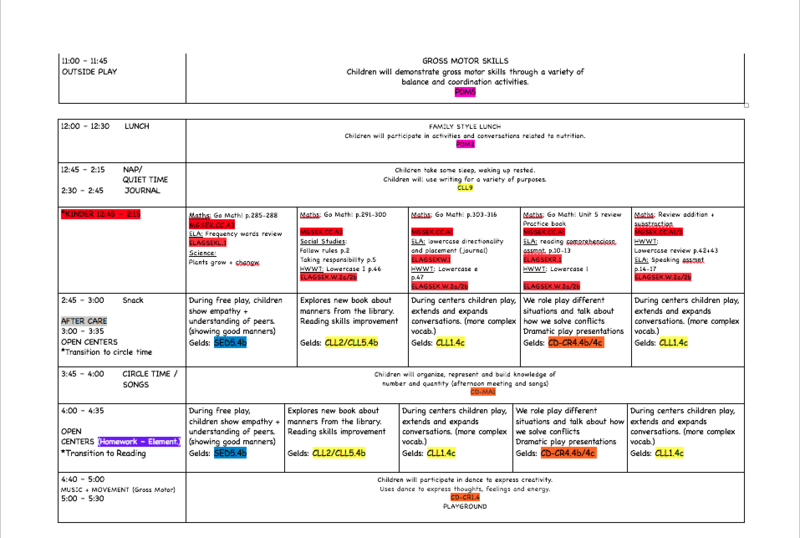 Our school curriculum is derived from Georgia Early Learning and Development Standards (GELDS), these standards guide set a frame work for leanrning. 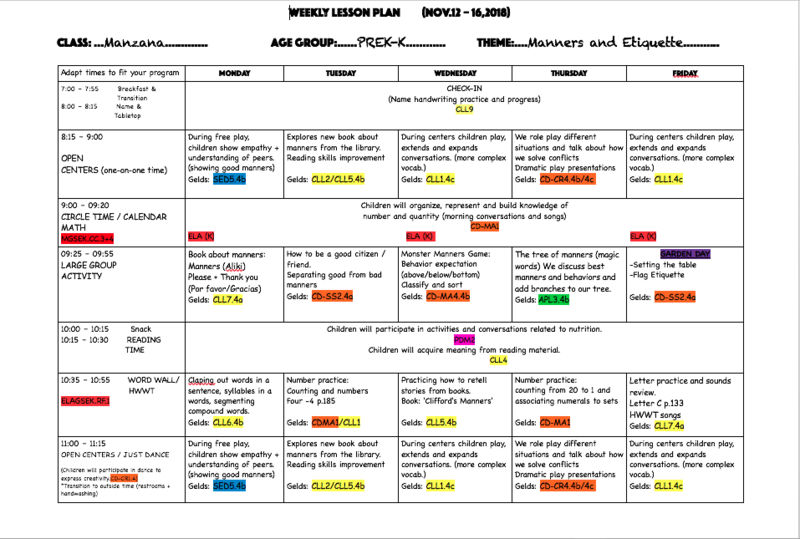 Each lesson plan is set to the GELDS frame work, each comprised of five content areas. The first five years of a child's life are critical to their lifelong development. A young child's earliest experiences and environments, at home, at school, and in the community, set the stage for their future development and school and life success. We here at Little Linguists recognize the progress that children must make to develop into students ready for school and work to guide our students through the right avenue. To learn more please click here, here. 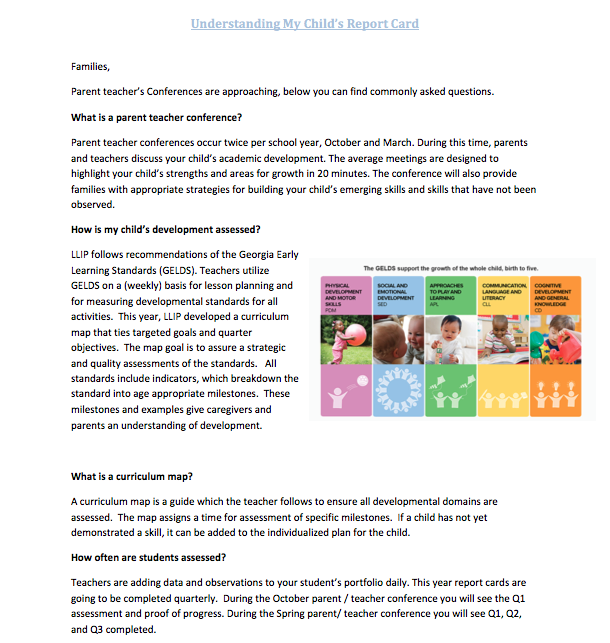 At Little Linguists we strive to give parents the feedback needed to determine if their children are meeting the critera to one day be school ready. Twice a year parents will be given a report card breaking down the standards that your child has met, based off the GELDS. We meet with parents and discuss the childs acomplishments and the area we will work to improve on. 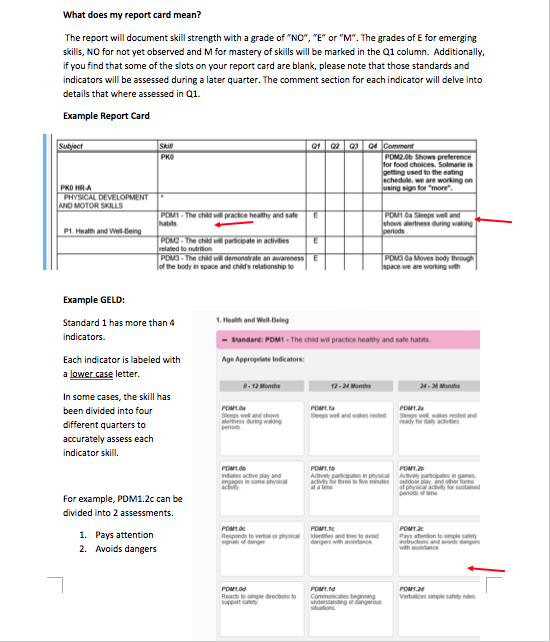 These report cards are a communication tool that we use to discuss development, so no letter grades are ever given.